Rob is the consummate professional! 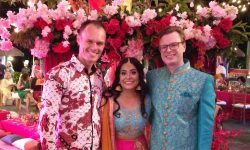 We organised our Indian wedding in Bali from Australia. Rob and his partner, Paddy, performed at two of our events. He was by far the most organised and professional of the 20+ vendors that we worked with. We can’t stress enough how organised he was, and what a pleasure it was to work with him before the events, as well as during them. One of the events that Majestic Premier DJs performed at was our Sangeet. This is an Indian “night of song and dance.” Rob was able to appropriately play background music in the lead up to the performances, seamlessly cue up and play backing music for many live vocal and dance performances, and perfectly balanced Indian and Western music for our vibrant open dance floor. Rob’s partner, Paddy, also did a superb job at our wedding reception the following night. The lighting package on both nights was great and really helped capture the vibe of the open dance floor in the photos. We cannot more highly recommend Rob and Majestic Premier DJs. We wanted to say how happy we are that you were able to perform at our recent wedding at the Intercontinental Resort in Bali. You read the room perfectly and dropped some beats and kept the jive jumpin’!!! You also did a really good job of being an MC and made our eclectic mix of guests feel welcome and comfortable as they cut some rug and boogied the night away. Thanks again and we will definitely recommend you to anyone who’s planning a wedding or a birthday party in Bali. Terimakasih banyak. Rob was fantastic. The original DJ pulled out at the last minute, which turned out to not be a bad thing. Rob was so easy to deal with in the days leading up to my daughters wedding. We provided him with a few tracks we liked and from there he nailed the night. From the get go the dance floor was pumping. Every guest from 8 to 80 loved it. 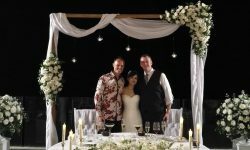 I would highly recommend Rob to any one planning a Bali wedding. 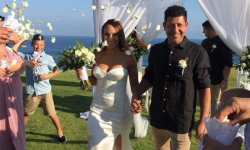 Thanks Rob for helping make Jaz and Nathan’s Wedding perfect! 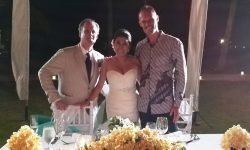 Rob and Whenda (saxaphonist) did a fantastic job at our wedding in Bali. Rob’s pre wedding prep was fast and efficient and very professional. They did a great job on the day, feeling the mood of the crowd. Whenda made the event extra special by playing sax with us, on the dance floor. We would highly recommend Rob. Dj Rob was amazing. He got the wedding party and guests up on the dance floor all night. He played all the music we requested and did an amazing job. best dj in BALI. Thank you for making our wedding amazing. Rob was fantastic! He was very easy to work with before the wedding – all we had to do was send him a playlist with some of our favorite tracks and explain our vision. He is a true professional. A few minutes into our reception, we knew we had made the right choice! He started off by playing Bossanova versions of famous songs during the dinner (which we loved because we had mentioned we liked this style of music to him). Later when everyone hit the dance floor, he read the crowd and mixed dance music and old hits so seamlessly that everyone regardless of their age had a tremendous amount of fun! Many of our guests commented on how great the music was. Highly recommend Rob for any type of event! Rob was the perfect DJ at our wedding. Timely and absolutely professional. We had Rob DJ at our wedding last weekend at he was so much fun! 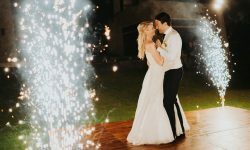 My husband is South American and Im Australian so we thought it would be difficult to mix two different types of music so everyone would dance….But Rob had everyone on the dancefloor all night, we even asked him to stay an extra hour because everyone was having such a good time! Thank You Rob, Muchas Gracias. Well, the holidays are over for both Jessica & I. We are both back at work now. I just wanted to take this opportunity to thank you for being such an amazing addition to our wedding festivities. You read the crowd perfectly and thanks to you, the crowd stayed motivated to dance/have a great time. I hope Jessica’s friends didn’t feed you too many shots throughout the night. Everyone was extremely impressed with your performance. I also want to take this opportunity to thank all of your crew. They were great throughout the day. Listening to the setup songs etc, I knew it was going to be fun. So from Jess & I, thank you once again. If we ever have another party down in Bali, we’ll definitely hit you up. Kindest regards. Rob was amazing! Lets just say – I was on the dance floor at my wedding for 3 hours straight! He contacted me well before the wedding to get an idea of the music we would like. We wanted particular bollywood music and South African songs for our reception. Rob catered to this with ease through our shared drop box. He played a mix of different songs that kept the party vibe going and catered to song requests. We had guests busting moves that we have never seen before! He was very professional during prior contact and on the day. 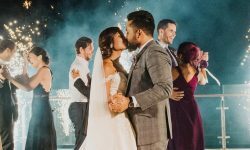 I 100% recommend Majestic Premier Wedding DJs – in particular Rob to any Bali bride out there! 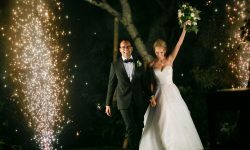 When Tirtha Uluwatu presented us with DJ options, we were ecstatic to see Rob’s name there because he also came recommended to us by close friends. As we live in Dubai, we didn’t have a lot of knowledge about DJs in Bali, particularly those who understand Indian music, but Rob set us at ease immediately when he told us he’s played at numerous Indian weddings before. From the beginning, Rob was patient and didn’t rush us to finish our music questionnaire. On our wedding day, Rob was effortlessly switching from tropical house to Bollywood numbers, and ensured everyone got on the dance floor. We would highly recommend his services to all couples looking for a DJ for their weddings! As the DJ for our wedding, Rob was extremely professional and good. From the time we got in touch with him, he was prompt with his communication, open to suggestions and discussions and was genuinely eager to understand the mood we were looking to create at the event. Although we were unsure of his credentials with Bollywood music, everything went off like clockwork at the wedding. Rob managed to hit the right mix of Bollywood and Western music, to get our guests from all over the world dancing. The tempo was good, while still managing to include song requests from the guests. All in all, we would definitely recommend Rob for any future events, whether you are looking for English music or for Bollywood music.